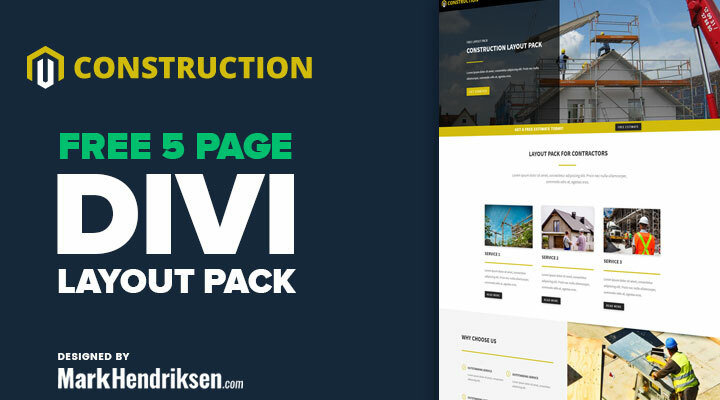 This is a Free Divi Construction Layout pack designed specifically for small businesses in mind such as contractors, plumbers, roofing, landscapers etc. Unzip the ‘Free_layout_pack_construction.zip’ file to your computer. Click on Import and upload Construction Theme Options.json. 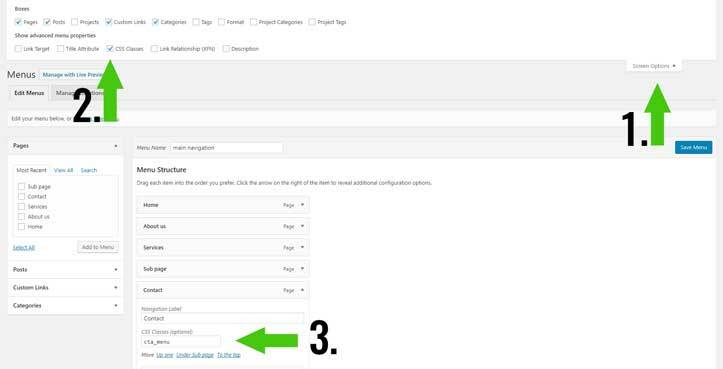 Click on Import and upload Construction Customizer Settings.json. Click on Import and upload Construction Builder Layouts.json. To get a Google API key follow the instructions in this video from Elegant Themes. 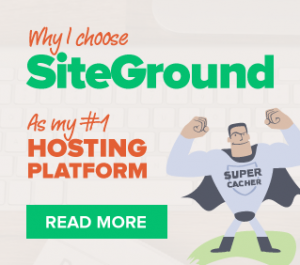 It seems like a good starting point for my web builder’s journey. I think you are uploading the files in the wrong place. Did you follow the steps above under step 3? I did do it correctly. I have done this many times before. I had already set up some options on the site. I also uploaded a child theme. Should I reinstall Divi? I assumed your info would just overwrite what I had done. If you want I can take a look at your website. Im Getting the exact same issue and have followed the directions to that letter. Could you please email me at [email protected]? Will do. You are the best! I want to say thank you Mark. You are not only a great Divi designer but a great guy also. Thanks for all your assistance. You went above and beyond! Keep producing those great Layouts. You can follow this tutorial that I recently made. Custom button 3 is the one you want. when i want to import it on divi builder how will i go about it? You need to increase your upload_max_filesize and post_max_size in your php.ini file. Hi!!! Mark, first thanks for the layout, but when i tried to install it, i receive this message: ” This file should not be imported in this context”, how can i process please?! Can you check if you are uploading the files in the right places? If you did, you can mail me a login to [email protected] and then I’ll have a look. Hi Mark and Stephan that is a problem with newest version of DIVI – here you can upload the page designs like it seems in many cases only directly from the Page site itself. Thank you so much, Mark. You are a great designer! I this is brilliant – thank you. I have installed everything and applied the layouts to my pages but the black footer menu is missing. How do I add this please? You can change the colors in the sections, row and modules. If you are new to Divi I recommend watching the videos from Elegant Themes. They will teach you the basics. Thank you – this has been extremely helpful! Can you tell me how to modify the contact form information, please? You can change that in the contact module. I wasn’t clear about my question – sorry. What I want to change is the email, phone, fax, address and map listed to the right of the contact form. I love the layout, just want to plug in my client’s info. You can just open that text module and change the info. It’s next to the contact module on the contact page. The map is just beneath those. I was able to navigate around that, But i have been having issues changing the image in the header. I want to change the image in the main header to an image of my choice. Open the section (blue bar) and you can change the background image there. You mean the navigation text color? if so it’s in the same place but then text color. but when I go to download/signup form and fill it out and press Subscribe, nothing happens. I just mailed you the layout pack. hi mark, i’m successful change the color navbar to white….why the color of navbar change black again after i’m scrolling?? This is great! Thank you so much for sharing this. I’ve had a crappy site from GoDaddy until now. I pressed the import button to download the customizer settings and it just let me back to home page without allowing me to upload the json file. Please help. You should contact Elegant Themes support for this issue. It seems that the import/export button bugs for you. The CSS class and height settings should take care of the full column height. How do I keep the menu from changing colors on scroll down? I have checked the CSS and don’t see it being called on. Enjoying your new layout. A quick question about the Construction Customizer Settings.json. When we attempt to upload that particular file the portability upload box appears for a brief second and then redirects to homepage. Any suggestions? That shouldn’t happen. So you can’t upload the customizer file? Or does it redirect after the upload?